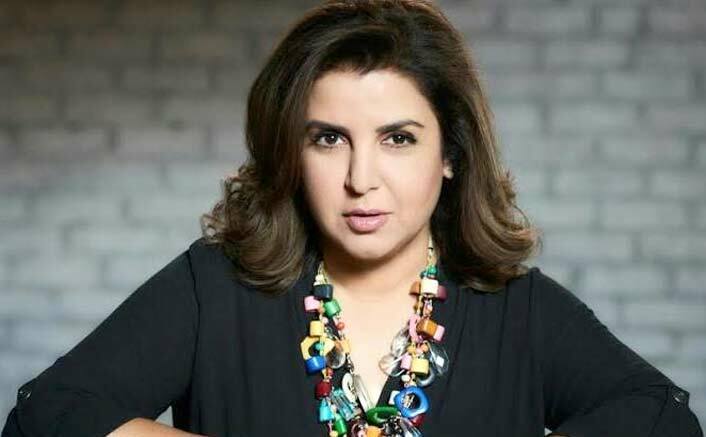 Farah Khan Shoots Super Hit Song For Housefull 4! Choreographer-filmmaker Farah Khan says she shot a super hit song with actors Akshay Kumar, Bobby Deol and Riteish Deshmukh for Housefull 4. Farah on Friday tweeted a photograph of herself along with Bobby, Riteish and Akshay, whom she described as handsome men. “Happy house full of handsome men!! Shooting a may I say super hit song for Housefull 4. Akshay Kumar, Bobby Deol, Riteish Deshmukh, Sajid Khan, Sajid Nadiadwala,” she captioned the image. Amitabh Bachchan Loses Over 4 Lakh Followers On Twitter, Shah Rukh Khan & Salman Khan Over 3 Lakh! Produced by Sajid Nadiadwala, Housefull 4 marks the return of Sajid Khan as the director for the franchise. The film will also see Bobby reuniting with Akshay, with whom he has previously worked in four films — Ajnabee, Dosti: Friends Forever, Ab Tumhare Hawale Watan Sathiyo and Thank You. Housefull 4 is set for a Diwali 2019 release. The post Farah Khan Shoots Super Hit Song For Housefull 4! appeared first on Koimoi. Salman Khan to replace Atif Aslam in ‘Main Taare’ song in Notebook? Badla Box Office: Amitabh Bachchan & Taapsee Pannu Bag Another SUPER HIT!